Sunday 8th. February, 2015 – And a really relaxing Sunday again. This week is going to be tedious to read about, I’m sorry. My task, as I have already written, is to clear the spare bedroom, pack things away until we have a space for them and then try to find a place to store the boxes. It is a huge job because I have managed to jam so much into the room and have a positive mountain of clothes to sort through. In fact, for me it will be quite fun as I come face to face with so many old friends but it won’t make very interesting reading. This morning I rose and walked Mix and then went across to the Bothy to check on emails for the Presbytery which I then dealt with. Soon I was into the spare room and I loaded all of the clothes from there into the bedroom, sorting them out on the bed and then packing them into boxes which I will take to the summer house tomorrow. I worked through at this until half-past nine at which point I gave up. At least we can get into our bed, even if the room is still strewn with clothes. I had lots of adventures. 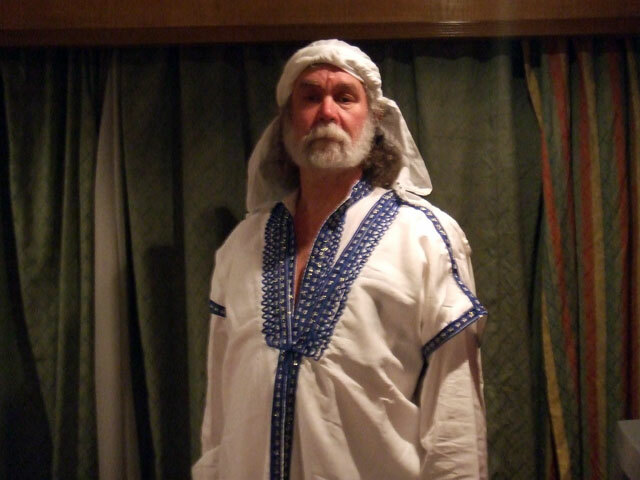 I found the costume which I bought when I was in Egypt for the Egyptian evening on board our river cruiser – that brought back memories. I also discovered all kinds of hats which I have bought at different times of my life. I discovered that the one thing that almost all of them had in common was that they are too small (I’ve had my hair cut recently so it isn’t that). I went on line and discovered that one can buy a hat-stretcher. So I’ve sent away for one of those. I also discovered all of my sailing gear, foul-weather clothing and so on. I’m going to keep that box to the front so that I can get at it when it is time to go sailing at the end of March. I will start again tomorrow but this evening I joined Rachel who was watching a thriller (Broadchurch) and then caught up with the News and Newsnight before bed.